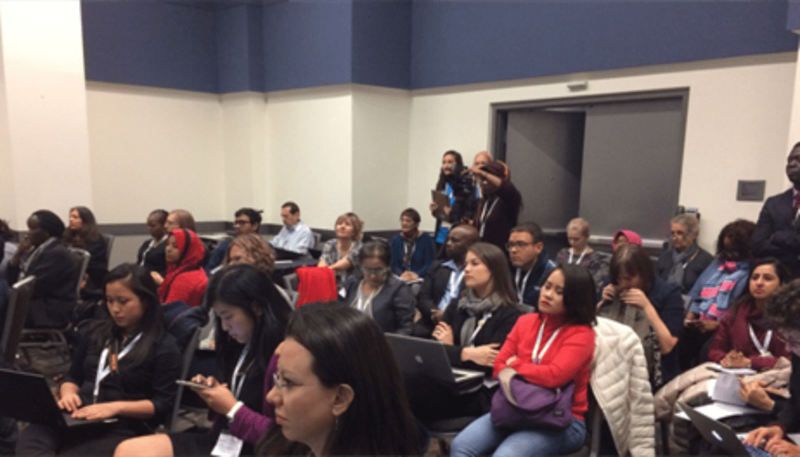 There were many community health worker (CHW) sessions at the recent Global Symposium on Health Systems Research in Vancouver. The need to support CHWs, and to better evidence our policy and interventions, appears to be an issue that is gaining greater traction internationally. I enjoyed the REACHOUT session on how we can embed quality improvement interventions into community health programming. It is an important issue because, as Miriam Taegtmeyer eloquently argues, as the potential contribution of CHW programmes is increasingly recognised the people that work within them are being asked to take on ever-more tasks and responsibilities. Often, they are expected to take on new areas without adequate thought to how this additional burden will be offset through remuneration, better supervision and support, and improved coordination and contact with communities and the broader health system. So, quality – not just quantity – matters. Olivia Tulloch helped us reflect on learning on sustainability for health interventions from the broader development sector – problems and their solutions should be defined by local people, we should take small steps and small bets to tackle them. We also need to look at the political economy questions behind what how development happens. Essentially, people who should benefit from development often lack power and are not engaged in the design and implementation of the interventions that are meant to help them. Initiatives can fail if we don’t analyse power within our interventions. Kassim Kwalamasa explained how embedding quality improvement is a journey and not a destination. That it is an ongoing process of building relationships and institutions. He reflected on efforts to improve CHW supervision in Malawi – to train, plan, monitor success and failure, and encourage the routine collection of data and then make decisions based on this. He felt that there is a need to constantly engage all partners (NGO, national government, district level decision makers) to keep the work going. If all partners bring their own particular standards then chaos and confusion will continue. People need to be encouraged to work together and to let local (community and district level) stakeholders set the agenda. Decentralisation of decision making in the health systems is occurring in many countries. Focussing on the Kenyan experience Robinson Karuga explained how the backdrop of decentralisation has forced their research to engage with all levels of the system. In Kenya power and resources are devolved, so counties are responsible for implementing programmes, managing human resources for health, and making financing decisions about health care. This autonomy means CHW programmes can be viewed differently in different counties – for example, some officials in the health departments do not view preventive/promotive health services at community level as a priority. This area is therefore largely left for NGOs to support. National government is still very important – particularly when it comes to standard setting, capacity building, and technical support. To embed quality improvement in a decentralised setting there is a need to continually engage all actors recognising that they all have different interests. For sustainability, it’s key to formally institutionalize acceptable structures for quality improvement that are aligned to the health system to ensure continuity. The tools that we use to do this need to be simple and understood by all – recognizing different information needs and literacy levels. As the REACHOUT programme continues we will be generating more learning on embedding quality in community health worker programmes. We look forward to sharing it with you in the future.